Here’s a question posted for our A Weigh Out Circle Experts by Helen, an A Weigh Out Member. 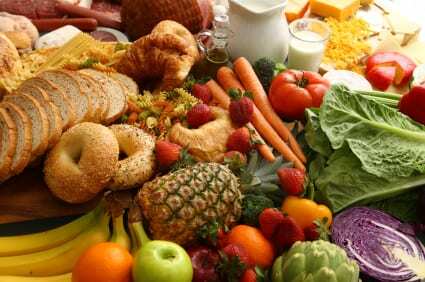 As part of mindful eating, does it makes sense to avoid carbs or is that too close to dieting?? This is an interesting and important question. It can be challenging to find a balance between the extremes of following rigid dieting rules and eating “whatever and whenever”! But finding this balance means addressing anxiety about food, sorting myth from reality, and understanding your own relationship with food and why you might feel the need to avoid some of them. As I am becoming more aware and present when eating, I’m realizing that certain foods have an impact on how I feel physically. I recently felt that I needed to scale back on carbs because I was feeling sort of heavy and lethargic but then after a couple of days I realized that I needed some heavier carbs to support a longer workout that I did. It’s amazing what my body is ‘saying’ to me now that I’m actually listening! I was just diagnosed as being hypoglycemic and I also have some allergies to certain foods so the balancing act sometimes can feel like dieting or deprivation. One of the things the doctors talked to me about was eating complex carbohydrates. Your article confirms that and your comments too Meg. The message is coming loud and clear – listen to my body!